This is clever. 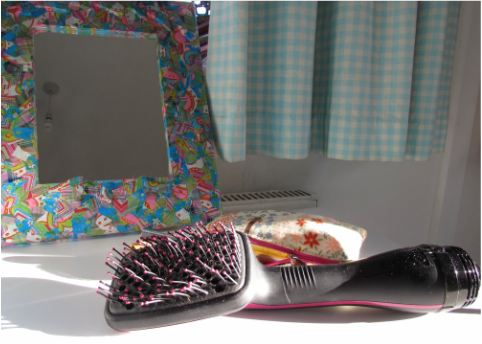 It saves time and it saves space, because you don't need to have a separate hairdryer and blow-dry brush. Revlon's Perfectionist 2 in 1 hairdryer is a hairdryer and brush at the same time. It puts an end to fiddling around trying to coordinate holding a brush and a hairdryer simultaneously. -I found it really effective on my long straight locks and it also made drying my children's hair easier too. The kids' hair-drying time normally begins with a screaming stage, when I comb their wet hair through, followed by resentment at the further time it takes to dry it. As the brush does both together, the ordeal was over much more quickly and there were fewer screams, maybe because the time it bought me allowed me to be a little more gentle on their Barnets. They also looked liked they'd had a proper blow-dry for once. I looked pretty salon-seen-to too. This product was sent to us for review, but, as always, all opinions are genuine and our own.